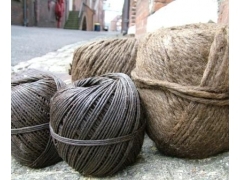 Whether a barge, a gaffer or a tall ship we can supply both traditional natural fibre ropes and synthetic ropes for all rigging and mooring lines, also spun yarn and tarred yarn as well as whipping twines. We are also happy to supply shackles, thimbles and other equipment. 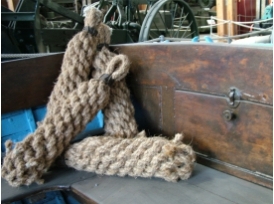 Whether hard or soft lay we can produce rope to your particular needs. Please contact us with your requirements we supply a range of ropes for moorings, springs and tow lines and also offer bespoke services such as splicing and whipping.